← Do You Wear a Uniform? 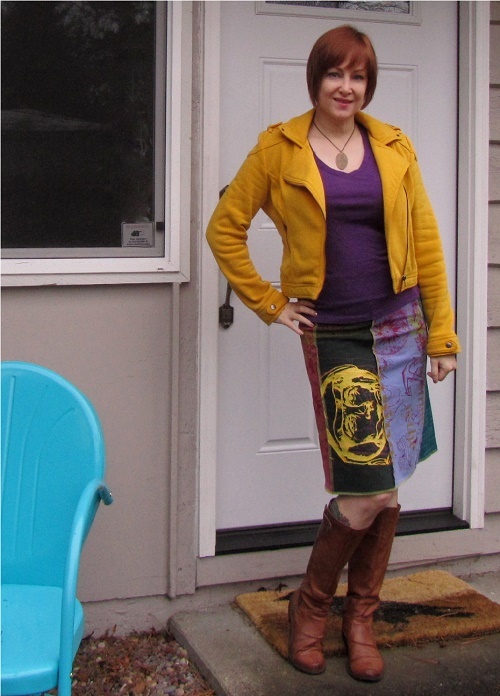 I love my Misprint Skirt! It’s on sale now, if you love it too. This skirt is a terrific idea. Betabrand needed a way to use up the ends of colorful fabric. Their screen printer used to test ink on t-shirts but was asked to use the roll ends instead. Each panel is printed with ink “tests.” It’s a mashup of colors and patterns and I adore it! I can wear this with any panel on the front, and I can fold the waist over if I want a shorter look. This is a great travel skirt. It packs well, looks different each time I wear it, and goes with everything. I’m a fan of Betabrand. Between this and the Perfect Dress I have, I’m going to be all set for my upcoming trip to Austin. 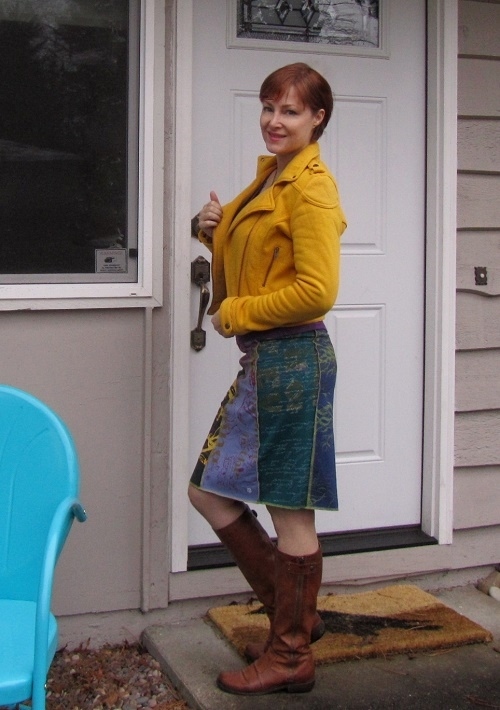 I paired my skirt with a bright fleece jacket. Fleece is very Pacific Northwest. Everyone has a fleece jacket. I find most aren’t very fashion-forward, but in a moto style cut, I approve! I’m joining Sydney Fashion Hunter, Rachel the hat and Pink Sole for link-ups. See what all the others are wearing! Thanks! I’m glad you found my blog and I found yours! I just posted my link. I’ll be sure to join first thing next time.